In this article, we’ll examine the paramedic salary in Nevada. 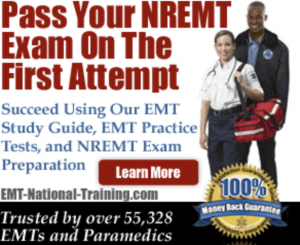 Using websites such as the U.S. Bureau of Labor Statistics and Salary.com as our guide, we’ll not only show you how much paramedics make in NV, but we’ll also compare those numbers to the annual salary of EMTs and flight paramedics in Nevada, as well. So how much does a paramedic make in Nevada? Well, let’s take a closer look. As with any job, one’s annual salary can vary based on a variety of different factors. For paramedic salary, one such element is the location in which one works. Simply put, paramedics who work in one region of the country earn more (or less) than others doing the exact job elsewhere. Along with region, another factor that can impact one’s annual salary is if a paramedic works in the public or private sector. Whether one ends up working overtime, too, can significantly boost his or her take home pay, as well. It’s worth noting that those who have received advanced training and education (such as a firefighter paramedic or a flight paramedic) earn more annually than an ambulance paramedic, as well. Before we get into any specific numbers when it comes to paramedic salary in Nevada, let’s quickly cover a few important national statistics. Using Salary.com as our guide, let’s see how the salaries for EMTs, paramedics, and flight medics compare in the largest cities in Nevada (by population). If you’re currently looking for a paramedic job in Nevada, it’s recommended that you visit our job board. There, you can search for hospitals and ambulatory services that are looking to hire educated and trained paramedics. Looking at the aforementioned salary numbers, paramedics working in Nevada are in pretty good shape income-wise. Not only do areas like Sin City meet the national average salary numbers (according to Salary.com), but in cities like Reno and Sparks, paramedic salary actually exceeds the national average. And while prospective paramedics should be just as concerned with helping to save lives, it’s certainly reassuring to know that those who pursue paramedic training now realize that they’ll be able to earn a livable wage in Nevada. Need more information about paramedic training? If so, visit our homepage.